So, What’s With All the Scallop Shells? The significance of the shell: Santiago de Compostela is named in honor of St James the Greater, who worked as a fisherman before becoming a Disciple of Christ. Following the death and resurrection of Jesus, the apostles began to spread the gospel and convert others to Christianity. As part of his mission, James travelled to Iberia (now Spain) to preach to pagans in the area. On his return to Jerusalem, he was beheaded by King Herod for blasphemy. Following his execution, his headless body was being brought to Galicia to be laid to rest. As the boat containing his body approached the coast, a knight on horseback was walking the cliffs above the Atlantic. Upon seeing the boat, the horse bolted and both horse and knight fell to the sea. Divine intervention occurred whereby St. James miraculously saved the knight, still on horseback, who emerged covered in scallop shells! Other references: Throughout the medieval period, pilgrimages were long and dangerous journeys undertaken as an act of penance and religious devotion. The pilgrimage started at the pilgrim’s home and continued by foot until they reached Santiago. Once they returned home, either by foot, horseback or boat, pilgrims presented the scallop shell as proof they completed the pilgrimage since the shells are indigenous to the Galician coast. 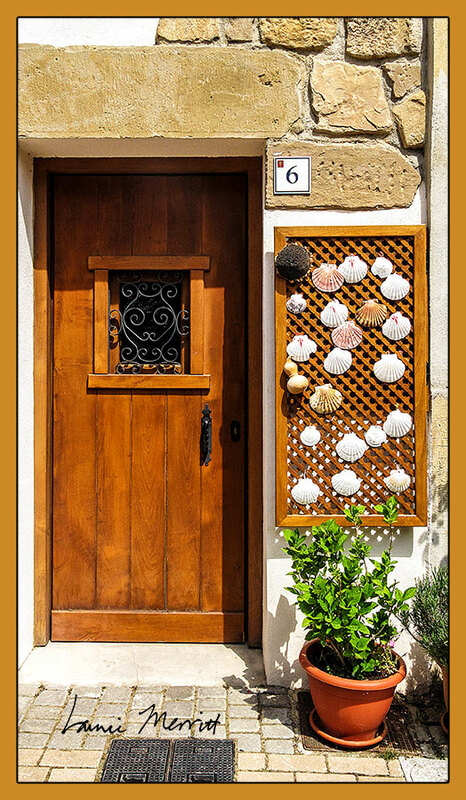 By the 12th Century, scallop shells were being sold by hundreds of licensed vendors around the Cathedral of Santiago cementing their symbolic status. The scallop shell was also historically used for gathering water and drinking and as a bowl for collecting gifts of food and for eating. 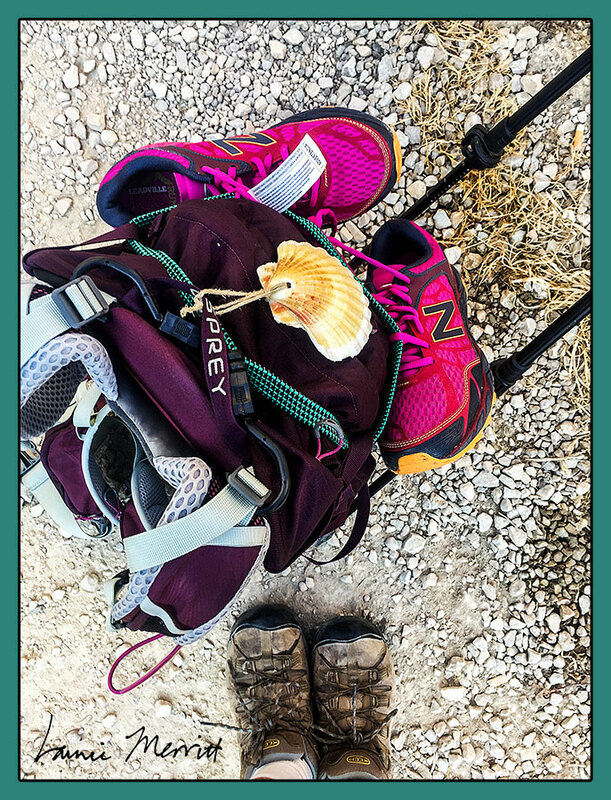 The modern pilgrim embarking on St. James Way can see the scallop shell at every turn, guiding them on milestone markers and providing a reassuring point in the right direction. 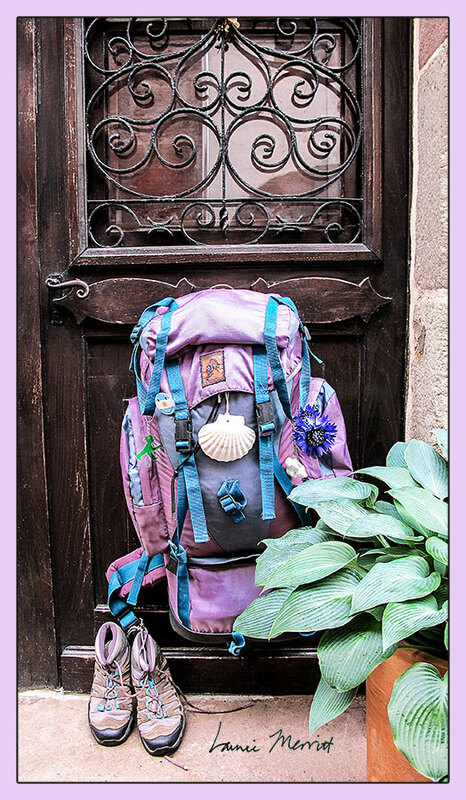 Many pilgrims wear the shell, either around their neck or attached to their backpack, making it easy to spot fellow pilgrims on the Camino and enhance the camaraderie. Buen Camino! !